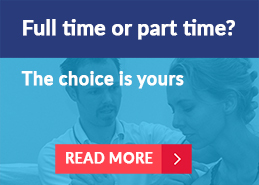 Our flexible full and part-time course structure enables you to tailor your studies to suit your lifestyle. 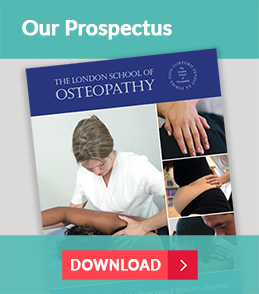 Our courses are accredited by the General Osteopathic Council so you will be able to join the register and start practising as an osteopath as soon as you have qualified. In addition to classroom teaching, our courses involve many hours of hands-on experience in our community osteopathy clinic in Bethnal Green. As a result, although shorter than studying medicine, they take longer than many undergraduate courses including physiotherapy. All our students study the same curriculum for the first two years and then choose to complete at Master’s level, or to opt for the shorter and slightly less demanding BOst qualification in their penultimate year. 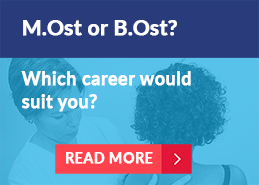 Our Bachelor’s degree in Osteopathy (BOst) takes 3.5 years to complete full time, or 5 years part time. Alternatively, our undergraduate integrated Master’s degree in Ostepathy (M.Ost) takes 4 years full-time, or 5-6 years part-time.